Kim’s flowers are impeccable! Her creativity and vision to source and create the perfect arrangement is spot on. She has created floral arrangements for me for photo shoots, birthday parties and personal arrangements, and I’ve always been head-over-heels in love with her design. 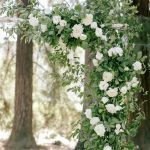 She’s able to work with any medium (sticks, buds, greens, flowers of the season) to create something that will take your breath away. She always seems to find the most unique and affordable arrangements that you won’t find just anywhere! All you in-season floral lovers, Kim is your gal! I’m in love with Kim’s flowers! My favorite thing to do is give her as little direction as possible – maybe one color or one flower and let her go to town – you’ll be thrilled with your results! She’s found her passion and creative outlet with floral design – let her share it with you – you won’t be sorry! We hired Kimberly Rose Floral Designs for our wedding last October and couldn’t be happier with the choice. From the minute we first reached out to Kim, to the day of our wedding, she was incredibly professional, poised, creative, competent, and passionate about her work. She is a true gem! 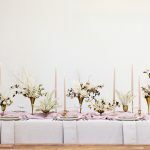 We had an idea initially with what types of flowers and themes we wanted reflected in our wedding, but Kim’s knowledge and unique attention to all things floral only helped to make our vision that much more amazing. She gave suggestions in a kind and approachable manner, helping take what we wanted and expanded it to something we were beyond pleased with. She was consistent in her communication, always checking in with us about visions she had that perfectly matched what we hoped for all along. She was confident that she could work within our given budget and delivered in every way. On the day of the wedding she worked diligently and produced designs and arrangements more beautiful than expected (full of the most beautiful orchids and tulips). It was incredible working with a vendor you trusted and did not have to worry about with so many other things going on during such a busy day.The compliments throughout the day were endless, a true testament of her hard work and talent. We highly and enthusiastically recommend Kimberly Rose Floral Designs for any and all of your special events. You will not be disappointed. Kim has an amazing flower talent that you won’t see anywhere else. She assembles the most beautiful and creative flower arrangements that make me stop and stare in awe every time I see them. She is very thoughtful, kind, and professional. Kim is truly gifted at what she does and it’s a pleasure working with her. Scott and I want to thank you for the FANTASTIC flower arrangements you did for Susanne & Matt’s wedding! They were truly artistic with the grapevine and oak branches, succulents and gorgeous dahlias of peach! All was so perfect for the setting of the wedding! And the hanging bulbs in glass added such a delicate touch…. and the small potted herbs and succulents were very much a “garden” in miniature! THANK YOU! Kim is THE BEST. She designed my wedding flowers last month and people are still talking about how beautiful they were. I gave her a very short list of what I liked and trusted in her artistic vision to bring it to life, and what she created went above and beyond what I expected. I will recommend her to everyone. She is professional and listens well, and has such incredible style. Seeing her holding my bouquet and handing it off to me before I walked down the aisle was one of the most comforting and reassuring moments of my wedding day. Thanks, Kim! Copyright © 2012 - 2019 Kimberly Rose Floral Design. All rights reserved.